Vishaan Chakrabarti, 2014, New York, NY. Photo: Henry Hung Photography. 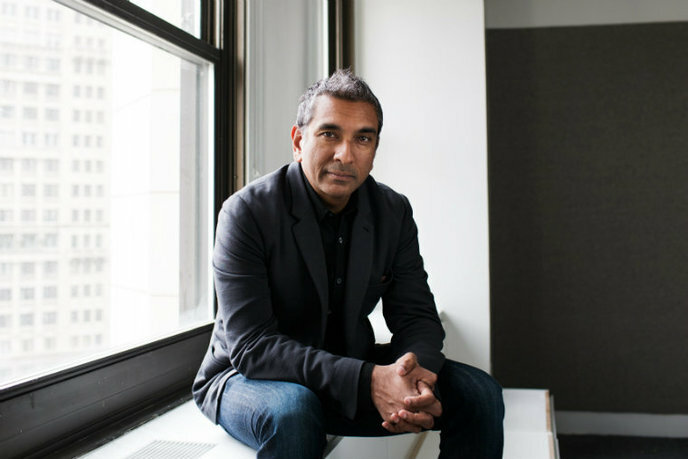 A public program from the Chicago Architecture Foundation, The Big Idea features luminaries in the design field primed to initiate dialogue with public audiences and design professionals and help identify design impacts in our world. In kicking off this program in 2014, the selected speakers and content complement CAF's exhibition Chicago: City of Big Data (opened May 2014). We now live in an age where data is one of the greatest commodities: something that surrounds us at all times, manages our lives, and even challenges our fundamental notions of order. But what does big data mean for our cities and buildings? How are the managers and designers of urban environments using big data to improve our quality of life? The Big Idea: Intersections in Design and Big Data asks these questions, providing insightful answers and new pathways of discovery. 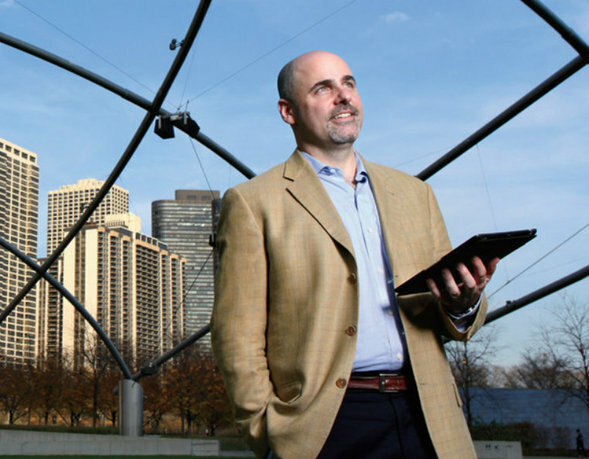 This two-part series introduces Chicagoans to a generation of thought leaders whose powerful speculations and applications of big data are leading big changes in how we view the future of the built environment. Vishaan Chakrabarti is principal at SHoP Architects and SHoP Construction. He holds an MArch from the University of California, Berkeley; a master’s degree in city planning from MIT; and dual bachelor’s degrees in art history and engineering from Cornell University. He serves on the boards of the Architectural League of New York and Enterprise Community Partners, is a trustee of the Citizens Budget Commission, and is an emeritus board member of Friends of the High Line. Simultaneously, Chakrabarti is Holliday Professor and the director of CURE, the Center for Urban Real Estate, at Columbia University's Graduate School of Architecture, Planning, and Preservation. 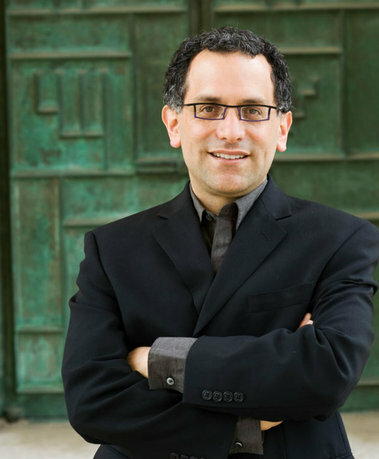 Reed Kroloff is director of the Cranbrook Academy of Art and Art Museum and previously served as dean of the Tulane University School of Architecture in New Orleans, Louisiana, from Fall 2004 through Spring 2007. He arrived at Tulane just before Hurricane Katrina and helped lead the School to recovery and prominence in the post-storm environment, including raising over three million dollars in gifts and research grants; retaining ninety-seven percent of the School's students and 100 percent of its faculty after the storm; and playing a significant role in citywide planning and rebuilding efforts. The recipient of the American Academy in Rome's 2003 Rome Prize Fellowship, Kroloff previously served as the editor-in-chief of Architecture magazine. John Tolva is president of PositivEnergy Practice, a consulting engineering firm providing sustainability planning for a broad range of projects around the world. Tolva brings to PEP significant expertise on the new ecologies created from the proliferation of networked objects, known as the Internet of Things, which contribute to urban experience, drawing from his prior work experiences as chief technology officer for the City of Chicago and, before that, director of citizenship and technology at IBM Corporation, where he worked on the firm's “smarter cities” initiative. In 2012, the White House recognized him as a Champion of Change, a group of creative individuals building stronger communities through innovative approaches to problem-solving. Tolva earned his bachelor's and master's degrees in English literature from Vanderbilt University and Washington University, respectively, and holds a master's degree in informational design and technology from the Georgia Institute of Technology. Barbara Gordon, vice-president of program operations, has been on staff at the CAF since 1994 and has been a docent since 1995. Gordon was promoted to vice president of program operations in 2008, after serving as director of adult education and manager of volunteer services, to oversee the overall operational responsibilities of the learning department which annually serves over 225,000 people through adult and youth education initiatives, exhibitions, community outreach, the volunteer/docent program, and Open House Chicago weekend. She also is charged with regularly monitoring progress of the organization's five-year Strategic Advancement Plan. Gordon holds a BS in education from Loyola University, Chicago, and an MA in adult education from National-Louis University in Chicago. She currently serves on the boards of Glessner House Museum and the Historic Chicago Bungalow Association. Katherine Stalker is the manager of public engagement at the Chicago Architecture Foundation. In this role, she is responsible for CAF's adult public programs, which include lectures, panel discussions, site-based programs, and hands-on workshops. Prior to this, she has played roles at the CAF in the exhibitions and digital areas. In addition, she is the e-newsletter editor for the Association of Architecture Organizations (AAO), a group that supports and connects organizations like CAF around the world. Prior to joining CAF and AAO in 2010, Stalker practiced architecture at a residential firm in Minneapolis. She graduated with an MArch from the University of Minnesota and a BA in art history from Carleton College. Founded in 1966, the Chicago Architecture Foundation inspires people to discover why design matters.